Feel the warmth and cheer of the holiday season with the richness of crimson and gold in this luxurious arrangement. 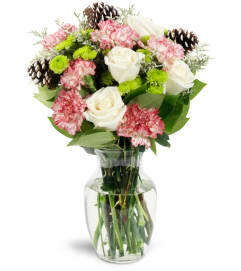 Vibrant red carnations, red mini carnations, burgundy carnations and gold salal leaves are nestled in a bed of rich green cedar and fir. 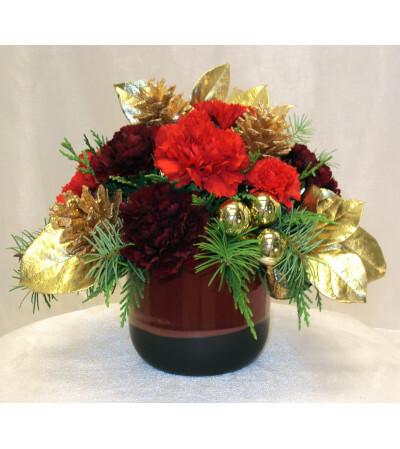 All accented with gold pine cones and gold Christmas balls and skillfully arranged in a red reactive glazed ceramic container. 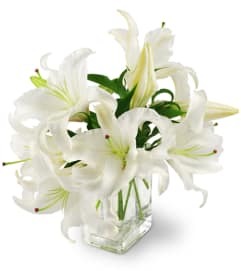 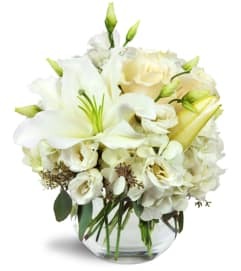 This arrangement is sure to be a treasure at any holiday celebration.